Michaela Betts is a singer, song writer, teacher and consultant working from studios in Surrey and London. She is an established session singer having worked with (among others) Patrick Doyle (The Emoji Movie, Brave, Gosford Park, Bridget Jones), David Van Eyssen (Slipstream, RCVR), Tim Rice, the BBC, ITV, Channel 4 and has featured in commercials for Coca-Cola, Levi’s, The AA, Braun and Nescafe. As a pianist Michaela has performed in BBC productions including the one-off drama Mothertime and most recently The Antiques Roadshow. Michaela is a member of the art pop band TheGhostOrchestra with whom she has released two albums, and was an original cast member of Songs of Love and Loss at The Edinburgh Festival. She has a pop musical in development “When The Lights Come Up” and a concept album “JEN”. As a composer she has written original songs for the children’s theatre company Little Pixie Productions and has had pop songs placed with recording artists in Europe. Michaela is an established and respected West End singing teacher and vocal coach. 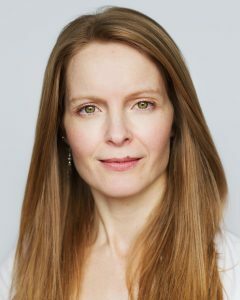 She runs private practices in Marylebone and Surrey with past and present students starring in West End, touring and international productions including Hamilton, Mamma Mia, Wicked, Dr Doolittle, Mary Poppins, Motown The Musical, Aladdin, 42nd Street, Les Miserables to name a few. As a tutor and consultant Michaela is course writer and tutor on the Commercial Songwriting MA at Tileyard Education. She is also a syllabus advisor and consultant to the ABRSM. She lives in Surrey with her musician partner, two creative and at times feral children, their Staffordshire Bull Terrier Molly, Frank Black the Basset Hound, Phoebe the tabby cat and a herd of cows who live in the field at the end of the garden. Michaela has also just realised a dream to own a horse and is now the devoted owner of a petite (but very athletic), Thoroughbred x Irish Sport Horse called Mandy.